Filipino Investor: Slowing China: A Monster Under The Bed Story? 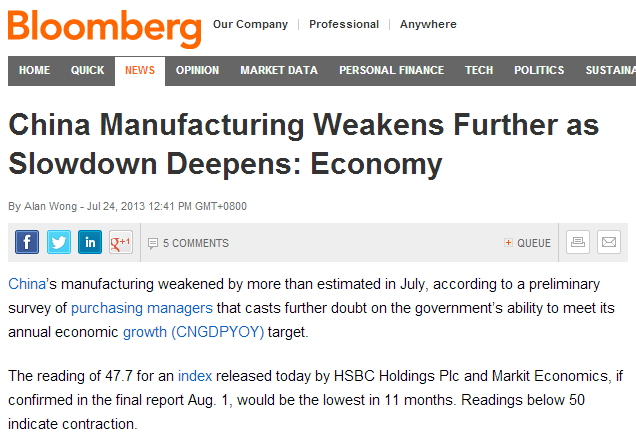 Some thoughts on Disappointing China PMI. If this data really suggests that the worst is yet to come in China then why did the CSI 300 stayed afloat it's Nov/Dec low? And why did the price today not able to close below yesterdays open? If the markets think that China is going to get "Slower" or even "More Slower" (pun intended) in the future confirmed by the PMI data then a drastic sell-off should have occurred and a Lower Low should have been formed, but this doesn't seem to happen in the price. We think the price action is a confirmation that the Chinese slowdown that the market is thinking (as shown in Financial Media) is already reflected in the price, if not over-reflected. In our view, the China concerns is kinda overstated, to put this in perspective, the biggest Chinese banks are selling at an average of 4x Forward Earnings and is at or below book value (around 0.8x). In the PHL meanwhile, we are selling at about 20x earnings and 3x Book. China is insanely cheap relative to other markets. And in an environment where there is too much money slashing around chasing assets, Chinese stocks are perhaps one of the best buys. 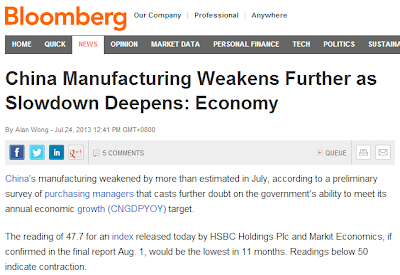 Hence we think that all this fuss about China slowdown is just one of those "monster under the bed story". A monster under the bed story, is an event when the market participants keep thinking there is a monster under the bed (slowing China) hence they are fearful and they choose to stay above there bed (raise cash and depresses stock prices), the process of this fear may take some time in China's case the slowdown seems 5 years in the making, but eventually as time pass when the market realizes there is really no monster and that everything is actually fine, asset prices rise. CSI 300 is even forming a potential double bottom and is trending up in the short term (Jun to Present) and in a 10Y view, a Falling wedge is forming (potential bullish reversal) and a bullish divergence is detected in the Oscillators. If you are an investor you want to invest in adversity because in this period asset prices are depressed and your down side risk is the smallest. Not to mention that even the best and biggest companies are selling dirt cheap.